When in Perth, make a side trip to see Fremantle Prison in Fremantle, approximately 32 minutes away. Dedicate the 19th (Sun) to wine at some of the top wineries in the area. 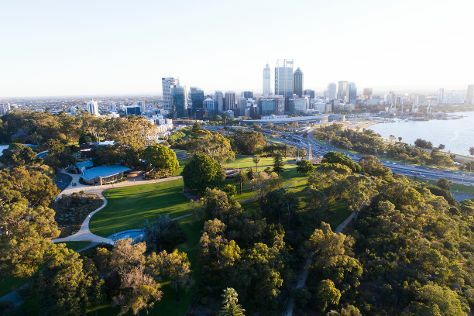 There's much more to do: stroll around Kings Park & Botanic Garden, explore the world behind art at Art Gallery of Western Australia, get great views at Fraser Avenue Lookout, and have some family-friendly fun at The Nostalgia Box Museum. To see more things to do, maps, traveler tips, and more tourist information, refer to the Perth driving holiday planner. Edinburgh, UK to Perth is an approximately 23.5-hour flight. You can also do a combination of train and flight. The time zone difference moving from Greenwich Mean Time (GMT) to Australian Western Standard Time (AWST) is 8 hours. Traveling from Edinburgh in January, expect Perth to be much warmer, temps between 38°C and 20°C. Finish your sightseeing early on the 19th (Sun) so you can travel to Melbourne. Change things up with these side-trips from Melbourne: Werribee Open Range Zoo (in Werribee) and The Great Ocean Road (in Torquay). Dedicate the 25th (Sat) to wine at some of the top wineries in the area. And it doesn't end there: admire the natural beauty at Royal Botanic Gardens, see the interesting displays at Melbourne Museum, admire the masterpieces at National Gallery of Victoria, and get lost in a book at State Library of Victoria. You can fly from Perth to Melbourne in 6.5 hours. Other options are to take a train; or drive. The time zone changes from Australian Western Standard Time (AWST) to Australian Eastern Standard Time (Victoria) (AEST), which is usually a 2 hour difference. Traveling from Perth in January, things will get a bit cooler in Melbourne: highs are around 32°C and lows about 17°C. Finish your sightseeing early on the 27th (Mon) to allow enough time to travel to Sydney. Spend the 3rd (Mon) exploring nature at Sydney Harbour National Park. 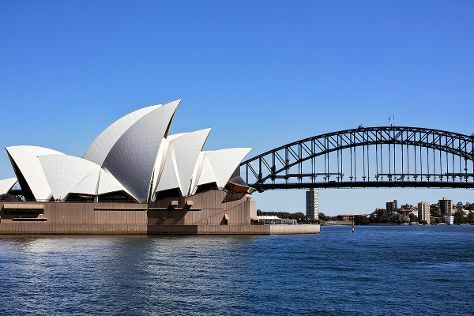 There's much more to do: snap pictures at Sydney Harbour Bridge, examine the collection at Australian National Maritime Museum, make a trip to Mrs Macquarie's Chair, and take in nature's colorful creations at Royal Botanic Garden Sydney. For more things to do, ratings, other places to visit, and tourist information, you can read our Sydney trip maker . You can fly from Melbourne to Sydney in 3.5 hours. Other options are to do a combination of shuttle and flight; or drive. Traveling from Melbourne in January, plan for somewhat warmer nights in Sydney, with lows around 23°C. Wrap up your sightseeing on the 3rd (Mon) to allow time to travel back home.